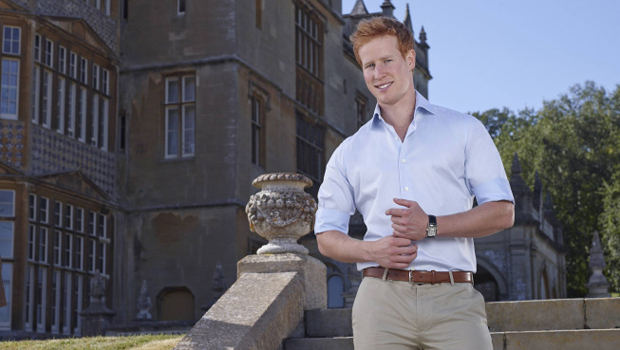 Matt Hicks doesn't exactly say he's Prince Harry -- and he doesn't exactly say he's not -- in the new Fox dating competition "I Wanna Marry 'Harry.'" On the show, premiering Tuesday night at 9 p.m. ET, 12 American women are flown to the English countryside to stay in a beautiful estate to meet a handsome man, who happens to resemble Harry. Hicks eliminates contestants along the way, and acknowledges his real identity in the end, reminiscent of the 2003 Fox show "Joe Millionaire." At least some of the women on the show, if you can believe it, seem to believe Hicks is the 29-year-old prince. So, how does he pull it off? "I was to use diversion tactics, to be mysterious, to play it coy," Hicks explained in a recent interview. "They asked me about my family, I mentioned I had an older brother -- which is true as well so I didn't have to lie about that." Prince William and Kate's baby son, Prince George, also helped with the royal ruse. Hicks said, "If [the women] were talking about their nieces and nephews, they'd be inquisitive, so they'd be like, 'Have you got any nieces or nephews?' I'd reply, 'We just had a new nephew in the family.' And it just went from there." He acknowledges that it was difficult at times to keep a straight face as the women tried to piece together his true identity. "My colleagues at work just find it absolutely hilarious," said Hicks, 23, who works for an environmental consulting firm. "It came out in the U.K. press and that was the point of which I got absolutely ribbed and mocked for it but all in good nature, lighthearted." Hicks says the royals are "everything Americans love about the English." "Americans love sort of the idea of English aristocracy and you love our accents."